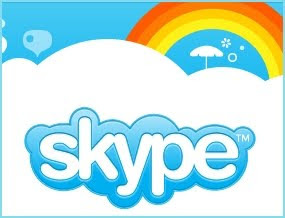 Skype is the popular software for making video calls through voice over Internet connectivity. We can make free video calls to our international friends. Microsoft acquired Skype before some months and released latest amazing version for PC users. While the Beta version of Windows Skype was released in February 2011 and that has some bugs. 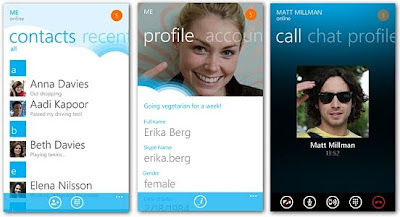 Now Microsoft fixed some bugs and released the latest Skype application for Windows Mobile users. Skype provides free voice and video calls to your family and friends. If you want to make calls outside of Skype users, you can make international calls in low cost with your Skype credit. Now Skype supports portrait video calling and support for joining audio conferencing also added in this version. You can block and unblock your Skype friends anytime. Skype app for windows phones requires Windows 7.5 version or above versions. Currently Skype was tested and verified with seven mobiles are listed below. You can make video calls using on a 3G, 4G and Wi-Fi internet connections. The Skype app supports 18 languages are English, German, Italian, Japanese, Korean, Polish, Danish, Dutch, Finnish, French, Norwegian, Europe Portuguese, Brazil Portuguese, Russian, Simplified Chinese, Spanish, Swedish and Traditional Chinese.